While we at Beaumont Demolition sure do love swinging a wrecking ball, many projects call for more precise and only partial, interior residential demolition. Luckily, we love this, too! Naturally, interior demolition is in high demand. Whether you want to refurbish a room or knock down a wall or two, our interior demolition service bests the competition. Our local and certified demo pros use expert knowledge and precision to take care of all your interior demolition needs. Our company also offers other compartmentalized residential services, like tank removal, yard clean up, and tree removal throughout the great state of Texas. Interior demolition refers to non-structural demolition services within a very precise scope of work. At Beaumont Demolition, our certified demolition contractors are licensed and certified to carry out any type of interior demolition work. 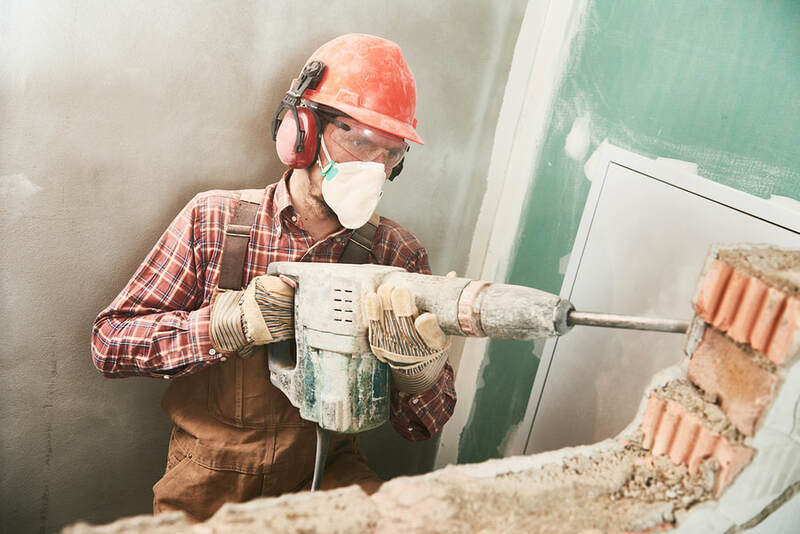 Types of interior demolition services include demolishing and/or removing drywall wall, interior walls, ceilings, counters and cabinets, tubs, showers, windows, floors, and others. We understand that interior demolition, being non-structural, is done with the purpose in mind for remodeling. Given that reality, our team also prepares surfaces for future remodeling. It can also be done for the purpose of destroying hazards such as asbestos. You can count on us to handle all your interior demolition needs. Tank removal is a compartmentalized internal demolition service we provide. Old, falling apart storage tanks are quite dangerous. They can lead to indoor air pollution, water, soil, surface, and ground contamination, and water pollution in local lakes and streams. Tank removal is no small or safe task, which is why our certified demo contractors provide this service. We urge you to hire licensed professionals. There are several steps to take to properly remove a tank. First, it must be properly closed, which involves carefully emptying the tank and connected piping while properly eliminating oil or other potentially hazardous substances. It also may be leaking. After closing and cleaning it, we disconnect the tank then haul it away for recycling. Your local demolition contractors occasionally double as sort of landscapers, providing yard clean up services. Similar to the garage and shed clean out service we provide, we are also happy to help you clear your yard of heavy junk or garbage, from old appliances, to furniture, to whatever else needs hauling away from your yard. We offer low rate hauling and yard debris removal services for our communities. The benefits of our service include the peace of mind that your debris removal is being handled by dedicated, certified professionals and that we are dedicated to an ecofriendly approach. All reusable debris will be properly recycled or donated. We always avoid the landfill when we can. Speaking of doubling as landscapers, our yard clean up services also include tree removal services. Suffice it to say that we not only know machines, we also know trees. Yard waste includes dead trees, heavy branches, unwanted bushes, shrubs, piles of weeds, and dead grass as well as light brush. We haul it all away upon request. If you have a dead tree in need of removal, leave it to the professionals. Our certified pros will never allow a tow rope to break or for a tree to fall dangerously on top of buildings, cars, or people. We also do stump removal.